It was a night to remember for the Edmonton Oilers captain after winning two trophies and being named the player to grace the cover of NHL 18. 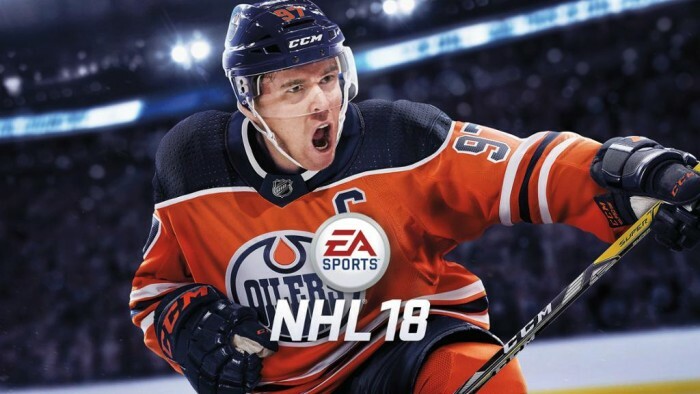 If raking in an Art Ross Trophy, a Ted Lindsay Award, and a Hart Memorial Trophy wasn’t good enough for Connor McDavid, the Edmonton Oilers superstar was named as the player who would feature on EA Sports’ NHL 18 cover. With the reveal of the NHL 18 cover coming at NHL Awards Night, many speculated on who would be on the cover of the number one hockey video game on the market. There were thoughts that Sidney Crosby could grace the cover after winning the Stanley Cup with EA making Tom Brady the cover of Madden and Cristiano Ronaldo making the cover of FIFA after winning the Super Bowl and UEFA Champions League respectively. Others speculated that it would be a younger player with the EA Sports NHL Twitter account pinning a tweet to their trailer which said “The Kids Are All Right.” That led to people thinking it could be one of the young Toronto Maple Leafs’ superstars in Auston Matthews, Mitchell Marner, or William Nylander. Others thought it could be Connor McDavid, and those who thought that were right. Both FIFA and Madden 18 have special editions to their game. FIFA 18 has both Icon Edition (featuring Ronaldo Nazario or R9 Ronaldo) and Ronaldo Edition (featuring Cristiano Ronaldo) with both having special features for their respective editions. Madden 18 has GOAT Edition with Tom Brady which has special packs for Madden Ultimate Team. 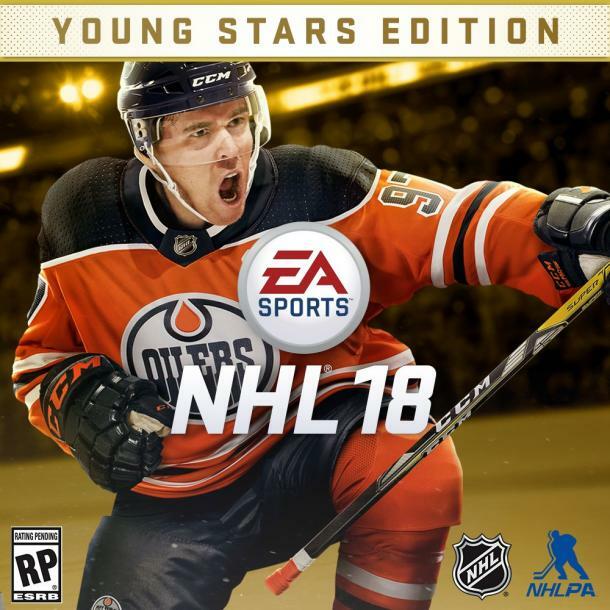 NHL 18 is no exception to the special edition rule as EA has announced NHL 18 will have Young Stars Edition. The features of Young Stars Edition have yet to be released. There are many new features in NHL 18. The trailer showed brand new dekes being done by Mitchell Marner, and EA has also announced that there will be a new mode in NHL Threes. A breakdown of the new features can be found in this video below by popular NHL YouTuber TacTixHD.